In every industry, there exist brands which lead to the extent that they not only set trends within their market, but help to define it. When it comes to beauty products, Olay is one of these sorts of brands. A personal care products developer which specializes in skin care, the Olay company, is one of the most recognizable and trusted beauty companies in the world. Boasting a relentless and experienced research and development team that prides itself on quality as well as safety, Olay has managed to stake itself out a reputation as a company which provides products that are both effective and reliable. An American skin care brand owned by Procter & Gamble, Olay has come a long way from its humble South African beginnings. Known originally as “Oil of Olay,” in the 1950’s Olay got its start by developing and releasing a single product marketed as having the ability to make its users look younger. The company has since experienced deliberate expansion in nearly every decade, growing surely and steadily into a purveyor of a vast assortment of skin and beauty-related products. Olay is trusted by millions of consumers around the world for good reason – it’s not always easy to find effective products that come from a brand name that is truly trustworthy! We’ll cover the ins-and-outs of Olay, its history, its top products, its future, and more here in our Olay Company History and Products Review 2016! Early Oil of Olay products. In the 1950’s, South African chemist Graham Wulff had taken a particular interest in developing skin care products in his personal home laboratory. Having gone through extensive trial-and-error, Wulff was focused on creating a moisturizer that had the composition and properties of the natural oils of one’s skin. Wulff had witnessed his own wife’s frustrations at the shortcomings of the kinds of beauty creams available at the time, most of which left skin looking greasy and unnatural. 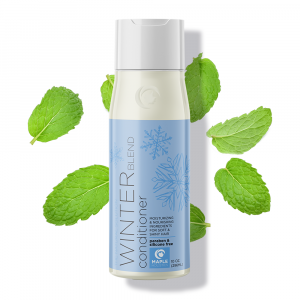 The primary goals of this moisturizer were to moisturize skin, help skin retain moisture over an extended period of time, and protect the skin from typical skin-related ailments. Eventually, Wulff struck gold, perfecting a moisturizer formula that was to be named ‘Oil of Olay’. Featuring a recognizable, pleasant scent and a distinctive pink shade, Wulff knew he had a product that was sure to appeal to women such as his wife, who had become disenchanted with the beauty products available during this time. A non-specific and deliberately vague marketing campaign followed – Wulff and his business partner Jack Lowe wanted to intrigue consumers and leave them feeling compelled by this ambiguous, age-related personal care product. ‘Oil of Olay’ experienced unsurprising success in South Africa following its release, as an effective and revolutionary product is sure to find itself with plenty of interested buyers. After the company was purchased by Richardson-Vicks in 1960, ambitious expansion shortly followed. Olay worked itself into the United Kingdom, Netherlands, Canada, Germany, and the United States during the 1960’s. In the 1970’s, the company expanded its product line to include a wide range of different sorts of skin care products – from creams, to serums, to acne treatments, to masks, Olay began to corner the market on personal skin care. 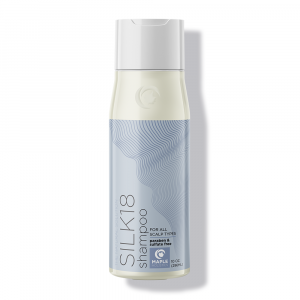 In 1985 the company was again purchased, this time by Procter & Gamble which pushed the reach of the Olay brand and its products to a vast, global scale. 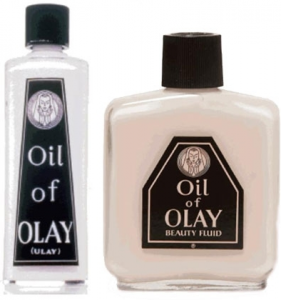 Finally, in 1999, ‘Oil of Olay’ decided to shorten its name to the simple and more palatable ‘Olay’. 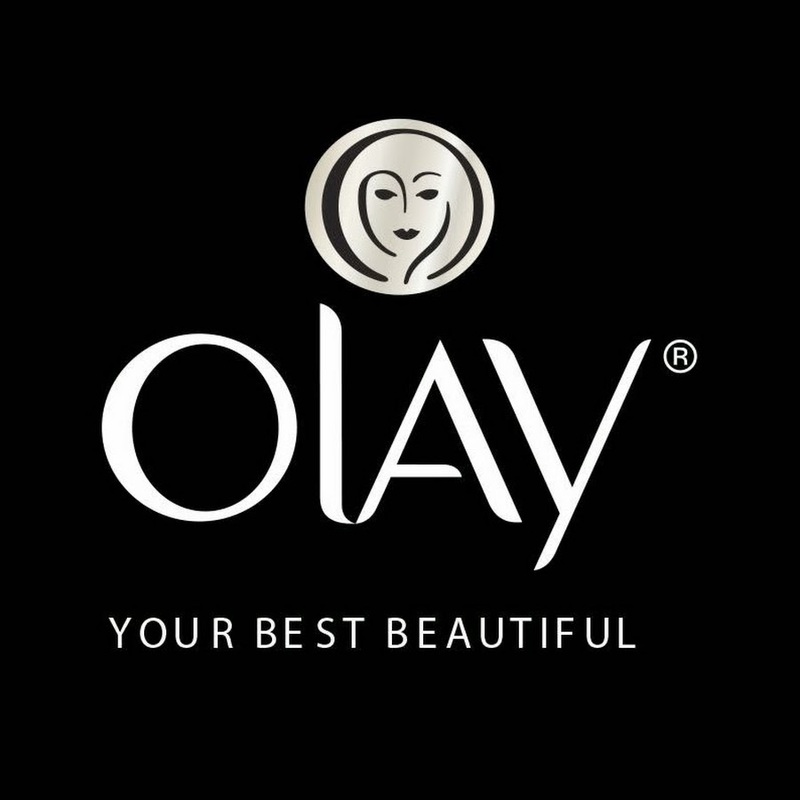 Olay executives felt that in addition to helping with brand recognition, this change was one that would help the name become more reflective of the company and its principles. ‘Oil’, although an appropriate inclusion in the name of the company in the 1950’s, had become antonymous with clean and clear skin in the minds of consumers – it was only natural that Olay pivot in order to combat this. Olay is the market leader in a number of different countries today, including the United States, the United Kingdom, and China. Once featuring just a single product that offered the ability to keep people looking young, Olay can now boast that it has essentially spearheaded the creation of the ‘anti-ageing’ category en masse in the beauty products industry. Therein lays the substance behind the claim that Olay has not only set trends within their industry, but helped to define it: it is one thing to create a revolutionary product, but to change the way consumers approach beauty products is an entirely different ballgame. Olay has managed to give consumers reason to believe that beauty products can not only conceal the ageing process, but slow or reverse it. That is the true legacy of Olay – a company that truly changed its industry. Olay’s range of products includes offerings for face care, body care, bath, cosmetics, and more. From cleansing brushes, to cream cleansers, to facial toners, to daily moisturizers, to night creams, to lotions, to facial and eye treatments, to masks, to beauty bars, Olay is now fully capable of servicing the full slate of personal skin care needs felt by most consumers. Olay’s Regenerating Serum harkens back to Olay’s first product, “Oil of Olay”, but boy has Olay come a long way since that first anti-ageing offering. This regenerating serum is so much more than a moisturizer – it is a hydrating formula that can reduce and eliminate wrinkles in as little as two weeks! 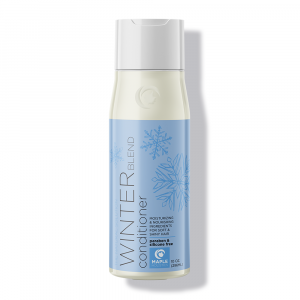 Using a complex blend of ingredients which includes amino-peptide complex (Graham Wulff would be proud of this progress! ), the regenerating serum exfoliates in order to help clear away dead skin cells and help new, vibrant ones shine through. Skin elasticity is restored through the hydrating effect, and the formula is fast-absorbing and lightweight – you’ll hardly even notice it’s there. The beauty industry is replete with ‘miracle products’ which companies claim can quickly and easily reduce wrinkles and aging spots, but Olay is one company that can actually stand by its claims – proudly. The overwhelming popularity of Regenerist Regenerating Serum should be proof enough for most, as Olay’s ever-growing list of satisfied customers can seemingly do a better job of describing its wondrous benefits than the Olay marketing department can. I personally used the Regenerist Regenerating serum and saw results in about a week-and-a-half – at least, that’s when people started giving me compliments on my youthful appearance! Before we tackle the Pro-X Cleansing System, let’s talk a little bit about the Olay Pro-X line in general. 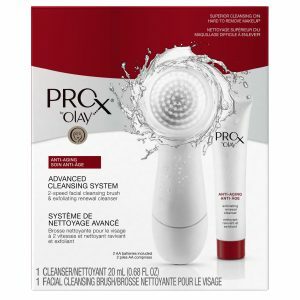 The Pro-X line is Olay’s skin care product chain that is not only dermatologist-recommended, but dermatologist-designed. Yes, Olay’s team of skin specialists and dermatologists cooked up this line that is designed to give the same kind of effective treatment as prescription skin care but in a far more affordable and accessible package! Virtually every end of skin care is covered and every kind of skin can be treated with Pro-X: From Olay’s Nightly Purifying Peel, to their Spot Fading Treatment, to Eye Restoration Complex, to Deep Wrinkle Treatments, to Exfoliating Cleansers and Firming Cream, no matter your skin needs, Olay has got your back! Now, as for the Olay Pro-X Cleansing System, we have a product that could make the rest of the Pro-X line redundant. As amazing as it sounds, Olay’s cleansing system used with Olay’s exfoliating renewal cleanser is all-purpose and perfectly capable of providing consumers with a skin treating experience that is so effective that it eliminates the need for more specialized, specific sorts of skin care products. Not unlike Neutrogena’s similar skin cleansing system, Olay’s cleansing system features a battery-powered brush that cleanses and exfoliates; driving Olay’s exfoliating renewal deep into the skin for maximum effectiveness. I have personally never used a product that worked so well at improving the health and appearance of my skin! The secret may be out when it comes to Olay’s range of body washes. Once a relatively anonymous Olay product, these body washes have soared to the top of Olay’s best-seller charts – and for good reason. Olay body washes are diverse enough in their offerings to boast enough options to satisfy most anyone looking for a body wash, while offering maximum effectiveness regardless of your body wash selection. Whether the Olay body wash formula includes natural fruits such as mango or ginger (not unlike LUSH bath and body products), or shea butter, or focuses more on its hydrating agents, you can be sure that you’re getting a body wash that flat-out works. My personal favorites in the Olay Body Wash line are undoubtedly Olay Sensitive Body Wash and Olay Age Defying Body Wash. Both serve different purposes in my personal care routine – Olay Sensitive is used on the more sensitive areas of my skin, while I employ Olay Age Defying Body Wash on the more aged-looking areas of my skin, and in particular the parts of me that see frequent sun exposure. However, I’ve tried a wide assortment of Olay Body Washes, and every single one has done a great job for me! Olay’s Fresh Effects line of products are unique in that they aren’t designed to undo the negative effects of aging or pitfalls that skin may encounter, but to boost – or energize – your skin. If Olay’s anti-aging products are supposed to get your skin out of the dumps, Fresh Effects can raise it to new, never-before-seen heights! Olay Fresh Effects products come in a variety of shapes and sizes, from kits, to systems, to creams, to spot treatments, and more. 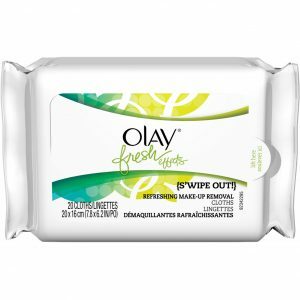 One of the Fresh Effects products that I’d like to highlight is Olay’s S’Wipe Out Makeup Remover Wet Cloths (fragrance-free, of course). Let me preface this by saying, I’ve tried my fair share of makeup remover wipes. Some are downright ineffective, and some, while decent at makeup removal, don’t leave the skin perfectly clean and clear of residue that can have lasting negative effects. Not only do Olay’s Makeup Remove Wet Cloths remove makeup, they leave the skin underneath it utterly clean, clear, and hydrated. This ensures that you will never have to deal with unwanted makeup residue causing unwanted problems! Here is a great example of Olay going above and beyond the traditional personal care offerings one would expect from a personal care product manufacturer. Olay Total Effects 7 products are designed to fight the seven specific signs of aging that Olay has identified to leave skin looking young and revived. These seven signs of aging, or effects of Total Effects 7, are as follows: reduces the appearance of lines and wrinkles, reduces the appearance of dark circles, enhances skin brightness, reduces puffiness in the skin, evens skin tone appearance, smooths and evens skin texture, and replenishes moisture in the skin. Olay Total Effects Anti-Aging Moisturizer is my personal favorite from among the Total Effects 7 product line, but their Anti-Aging Eye Treatment has worked wonders for me as well! The first thing most people report when it comes to utilizing facial creams for skin hydration or anti-aging purposes is that it’s an expensive process. This is largely true for many of the brands and products out there – some of which can charge up to $440 for a facial cream that is now widely considered to be as effective as a $13 cream. So it stands to reason that as consumers, we should take the time to do a little research before simply choosing the most expensive product in the hopes that it’ll be the most effective. 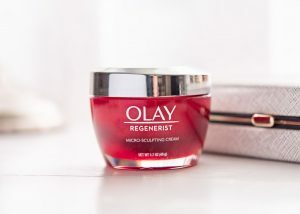 Out of all the anti-aging and hydrating skin creams I’ve tested over time, the Olay Regenerist Micro Sculpting Cream is easily one of the most effective in it’s price-range. In a series of blind tests, a large majority (80%) of the test subjects claimed that the Olay Regenerist was better than more expensive creams of the same category, being ‘firmer’ on the skin, yet lighter in texture. Besides this, the Olay Regenerist worked out to be 400% more fast-acting than 18 other brands and products in the same price range, as measured from the 3-hour mark after application. 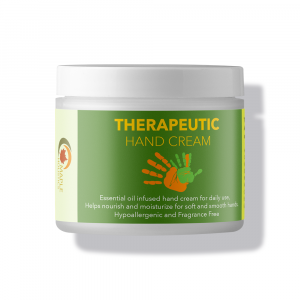 This is a key aspect for most consumers when it comes to purchasing hydrating creams and definitely helps the product stand out within it’s price range. 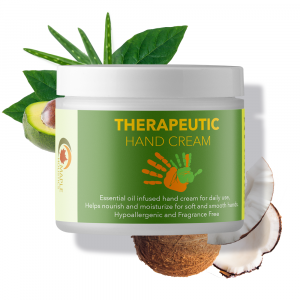 The cream has also been cited as increasing the overall levels of skin moisture (by around 50%) after 24 hours of having applied the cream – which makes it ideal for dry skin types. The secret to the creams effectiveness lies in it’s ingredients and formula, of which, some of the key ingredients are large amounts of hyaluronic acid and niacinamide. While some may prefer to get these chemicals from more natural sources (lavender oil, bergamot, orange, lemon or almond oil), the Olay Regenerist Micro Sculpting Cream works pretty well for a conventional product and is pretty safe for regular use. So if you’re stuck in the beauty aisle at your local pharmacist or supermarket and can’t make up your mind about which cream to choose, you’re better off going with a tried and trusted product like the Regenerist Micro Sculpting Cream from a brand that’s trusted and loved like Oil of Olay Makeup. This is a win-win product, hands down. Be sure to check back for more on Olay and other great brands – like Urban Decay and Beautycounter – here at Maple Holistics! Although we’ve chosen to highlight just a few of Olay’s many quality beauty product offerings, rest assured that there are many more where those came from. Regardless of your specific personal care needs, Olay’s full lineup of products is sure to have something that can and will work for you. Olay has been gradually widening its reach in terms of personal care, incorporating more and more kinds of products into its catalogue thanks to a world-class research and development team. 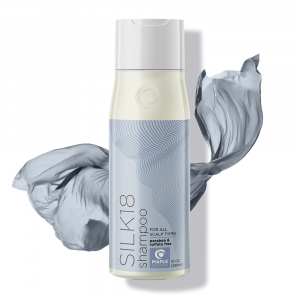 This is sure to be the arc that they continue to follow along, as there is still plenty of ground to cover for Olay in terms of personal care – hair care would be a natural next step! Slowly but surely, Olay seems to be determined to get there – for now, they are content with being the very best at what they do, which is provide great skin care and beauty products to their consumers!